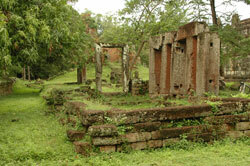 Roluos Group:The most impressive member of the Roluos Group, sitting at the center of the first Angkorian capital, Hariharalaya. 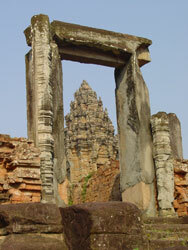 Bakong stands 15 meters tall and is 650x850m at the outer wall. 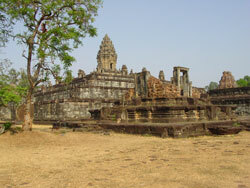 Constructed by the third Angkorian-era king as his state-temple, Bakong represents the first application of the temple-mountain architectural formula on a grand scale and set the architectural tone for the next 400 years. 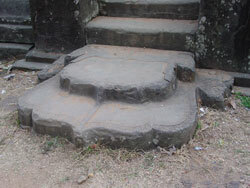 The temple displays a very early use of stone rather than brick. 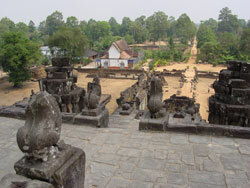 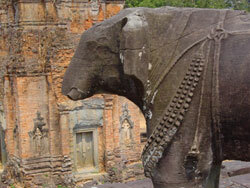 Though begun by Indravarman I, Bakong received additions and was expanded by later kings. 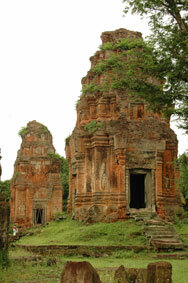 The uppermost section and tower may have been added as late as the 12th century AD. 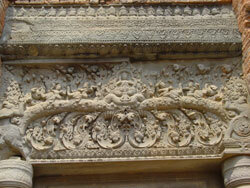 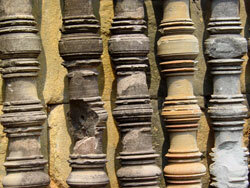 Some of the lintel carvings, particularly on the outer towers, are in very good shape. 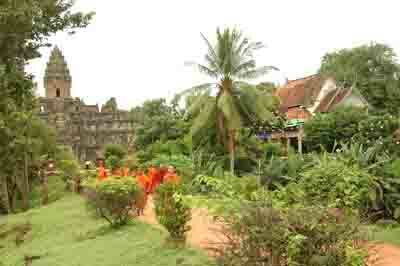 Picturesque moat and vegetation surround Bakong.